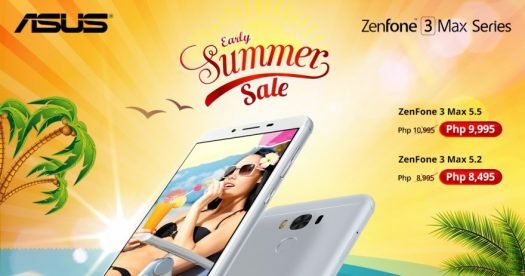 If you live in the Philippines you have a chance to buy a cheaper priced Zenfone 3 Max. This deal is included on both the 5.2-inch and 5.5-inch models. There are some differences between the two models, largely that the bigger model has a Snapdragon 430 processor whereas the 5.2-inch model has a MediaTek processor. From most reviews, the 5.5-inch model is the more power efficient. Aside from the processor and size, there are some other noteworthy differences. The 5.5-inch model has a 1920 x 1080 resolution display whereas the 5.2-inch model has a 1280 x 720 resolution display. The larger model also has a better rear camera. Both models have 3GB of RAM and come with 4,100mAh batteries.